Your goal is to model/render a realistic camera. 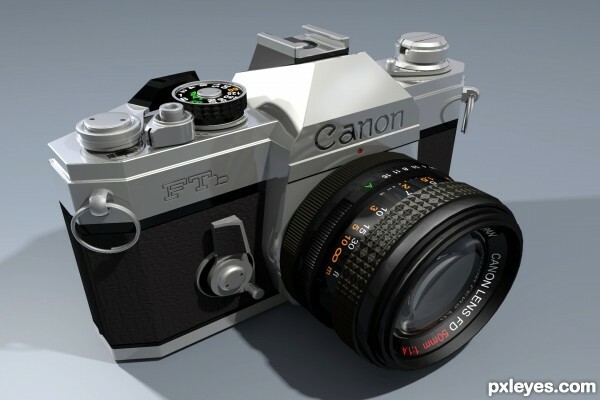 You may choose any type of camera that is used for photography, old or new, and any type of camera will do. 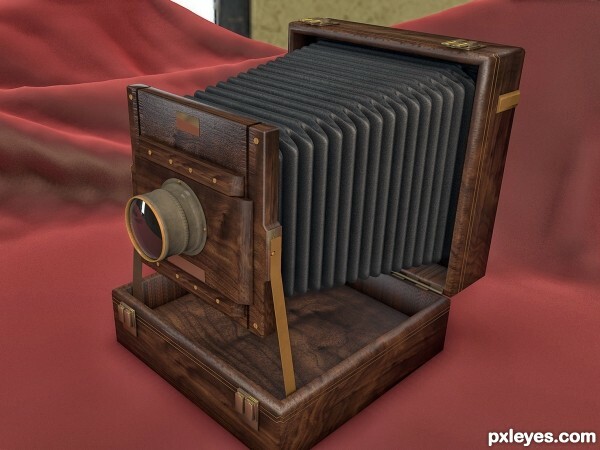 From old-fashioned box-type wooden cameras from the turn of the century to modern DSLR's, the choice is up to you...but it must be a camera used for photography and not a movie type camera for making films. Good Luck. Articles and photos for reference can be found here: http://en.wikipedia.org/wiki/Cameras. sorry i am writing here but where should i write the sbs guide? 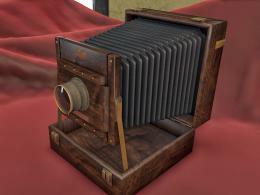 my render was erased because of that and really nice wood texture there by the way..
Yeah you need to write one. If you want you can just do a minimal one. Showing the basic's. Broken down shots of the individual elements. Including a bit on lighting and composition. Each step needs to have a short description also. Just what you did in that step or what settings you used. Nothing wrong with the modelling whatsoever, clean lines and good composition. I have , however one slight criticism. The rendering takes very little advantage of the good model. 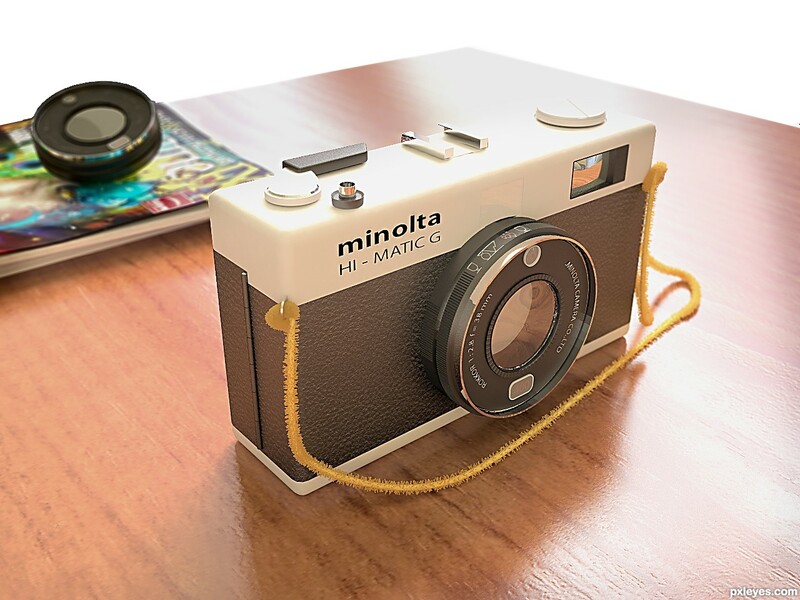 Somehow the model, despite the great texturing seems plastic, maybe I would re-render this with slightly more subtle lighting and a more definitive shadow map, as the shadows seem weak and unrealistic. 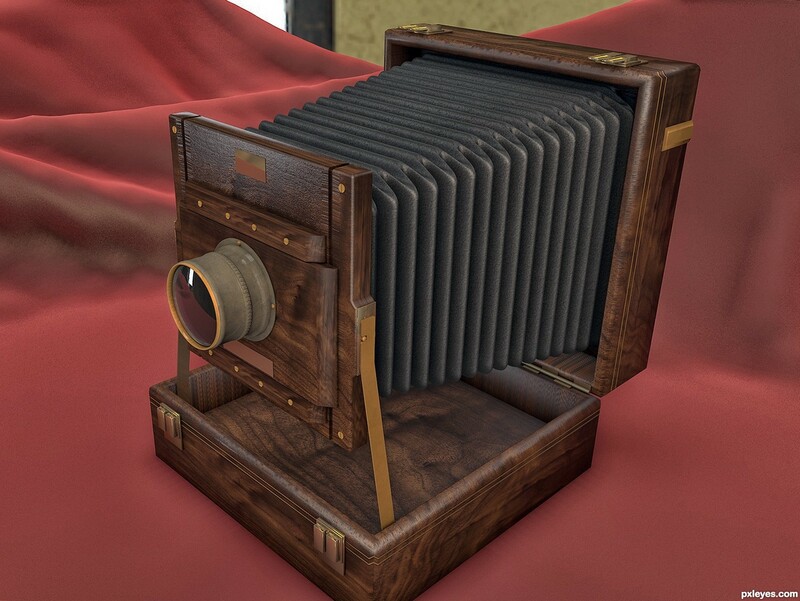 I only say this because the model is excellent and the composition is great, more time spent on the rendering settings and maybe a bump and displace on the bellows to bring out the finer textures to add that extra realism. Fantastic modelling skills, just a few minor points. The flash seat, should really have had the edges chamfered slightly nowhere is there ever perfect sharp corners on anything. The texture of the black plastic on the front of the camera is stretched and doesn't match the same material on the corner of the camera where the strap loop is. The embossing of the lettering and the lighting is good. The machine turning or knurling on the focus ring is excellent and I love the F-numbers and focus values on the lens barrel. Good job aithor, just a couple of minor issues. hmm you are right.. Seem I forgot to properly uv wrap the Film body. Fixed now. And it seems I did forget to chamfer the hot shoe. Thanks for catching it. Some time you look at something to long you missed thing.. Kind of like not finding the reading glass on top of your head..